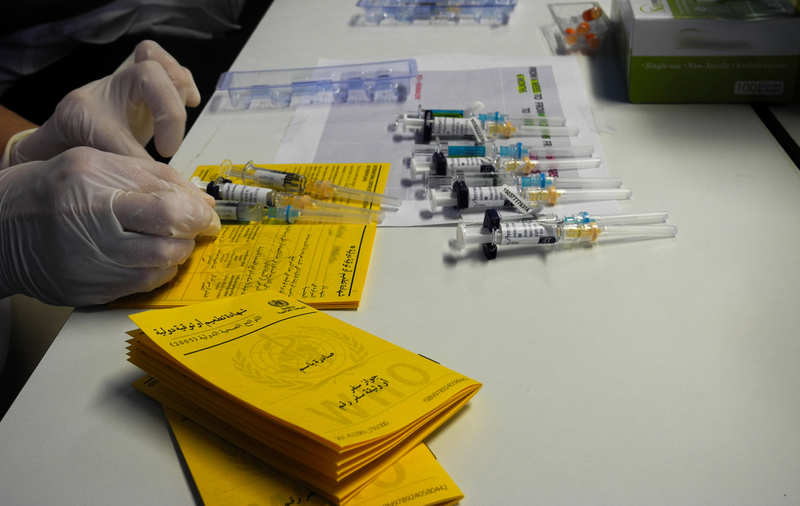 Médecins Sans Frontières/Doctors Without Borders/ (MSF) welcomes the decision by GlaxoSmithKline (GSK) to lower the price of its pneumococcal conjugate vaccine (PCV) for humanitarian organisations that serve refugee and crisis-affected children. For seven years, MSF has been in discussions with GSK and Pfizer – the only two manufacturers producing the pneumonia vaccine – for access to a more affordable price. GSK’s price reduction is a significant step forward in protecting vulnerable children who are reached by humanitarian organisations like MSF. MSF now hopes that Pfizer will match GSK’s offer, and that both companies will additionally reduce the price of the vaccine for governments of developing countries which still can’t afford to add the PCV vaccine to their standard childhood immunisation package. Pneumonia is the leading cause of child mortality worldwide, killing almost one million children every year. Crisis-affected children, such as those caught up in conflict or in humanitarian emergencies, are particularly susceptible to pneumonia. MSF medical teams often see the deadly effects of pneumonia – a vaccine-preventable disease – in the vulnerable children we serve. Until now, neither MSF nor other humanitarian organisations have been able to purchase pneumonia vaccines at an affordable price; earlier this year, MSF paid 60 Euros (US$68.10) for one dose of the Pfizer product to vaccinate refugee children in Greece – 20 times more than the lowest price that GSK and Pfizer offer. 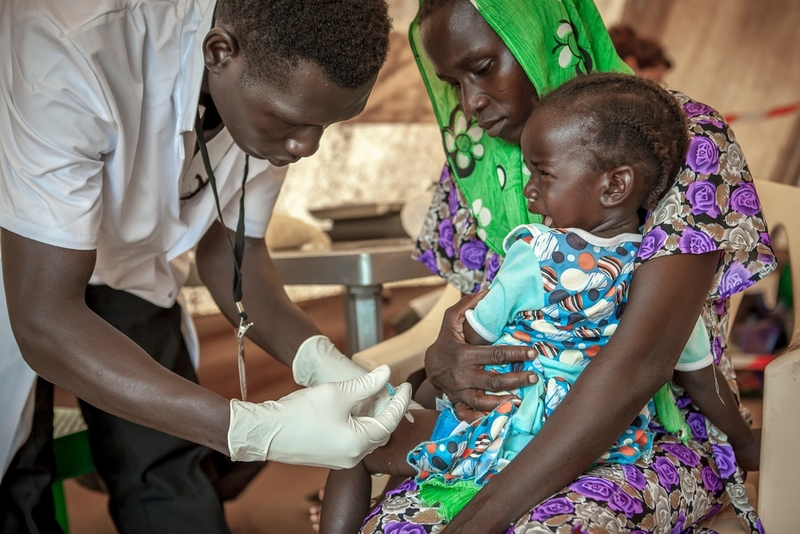 In May, MSF delivered the names of more than 416,000 people from 170 countries who signed a petition asking Pfizer and GSK to reduce the price of the pneumonia vaccine to US$5 per child (for all three doses) for crisis-affected populations and for all developing countries. With its 19 September announcement, GSK has now pledged to offer humanitarian organisations a price of about US$9 per child (US$3.05 per dose). While GSK’s announcement removes one significant barrier to humanitarian access to the pneumonia vaccine, Pfizer’s pneumonia vaccine (PCV13) is still an indispensable tool in many countries where MSF and other organisations provide assistance, yet Pfizer continues to refuse to offer an affordable price for its pneumonia vaccine to humanitarian organisations. “Pfizer should now match GSK’s move and help build a broader solution for the humanitarian community by also offering the lowest global price,” says Liu. Instead of lowering the price for the humanitarian community, Pfizer has offered only a donation programme. MSF prefers to have access to affordable and sustainably-priced vaccines so that the health of vulnerable children does not rely on the voluntary goodwill of companies.